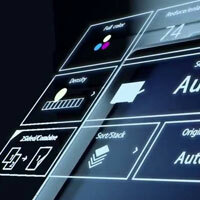 London – Ricoh Europe announces the addition of next-generation Print MIS (Management Information System) Avanti Slingshot, from long-term solutions partner Avanti, to its portfolio of solutions. This will allow European print services providers to benefit from the improved operational planning, transparency and reporting capabilities delivered by Avanti Slingshot. To help more businesses achieve this in practice, Avanti Slingshot provides tools and solutions that make the entire workflow more efficient, from estimating, job ticketing, purchasing and inventory management, through to scheduling, shipping and billing. It gives print services providers a real-time view of all job costing, job tracking and billing information, enabling them to deliver better client service and improve profitability. Avanti Slingshot incorporates business intelligence including CRM, dashboards and reporting, production planning such as estimating, planned purchasing, sales orders, inventory management and scheduling, fulfilment, shipping and billing into one affordable, easy-to-use and implement system. It is designed to easily integrate with third party applications and equipment and includes robust Application Programming Interfaces (APIs), leveraging industry protocols such as JDF/JMF and XML to eliminate ‘islands of automation’ in the print shop where many bolt-on solutions have been added but do not talk to each other. The result is a streamlined and integrated business and production workflow. Browser-based, it enables anytime/anywhere access and can be served up from the cloud or hosted, providing print services providers with a level of flexibility and security that suits their individual needs. Benefits of adoption include the ability to handle more job throughput without adding staff, faster payment speed through streamlined billing, improved client satisfaction through quicker turnaround times, and the freeing up of sales and management from repetitive administrative tasks to focus on the client. Avanti Slingshot also helps operations handle the increased number of short-run digital jobs by providing real-time information vital to making decisions and managing the workflow. Avanti Slingshot will be rolled out during 2015, starting early in the year in the UK, as it is regionalised with local content and to different systems environments and workflows. It will ship with Avanti’s Quick Start Database, a standards library, and migration/import tools that will dramatically reduce the amount of time and effort required for implementation.